Usually the concert starts up in April, but this cold spring it was May before they really got tuned up. Now the frogs are busily making up for lost time. 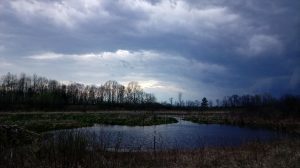 I visited Mosher Marsh on a damp spring night, and as soon as I opened the car door I could hear it—a high-pitched jingling, like distant sleigh bells. The unmistakable love song of the spring peepers. Peepers are tiny frogs, barely an inch long, with very big voices. The males call to the females, getting started in late afternoon and serenading far into the night. Each individual frog, not much bigger than your thumbnail, makes a shrill weeeeek weeeeek noise—not particularly loud by itself. But there must be thousands of peepers in the marsh. As you get closer to the water, the racket almost hurts your ears. Yet the singers are invisible. They’re incredibly talented at throwing their voices, a useful gift for a tiny creature when a predator is stalking. You can stare at a clump of cattail that’s practically vibrating with sound and not see the tiny singer. The spring peepers are the first vocalists, and then as the weather warms up, a bit the toads chime in. 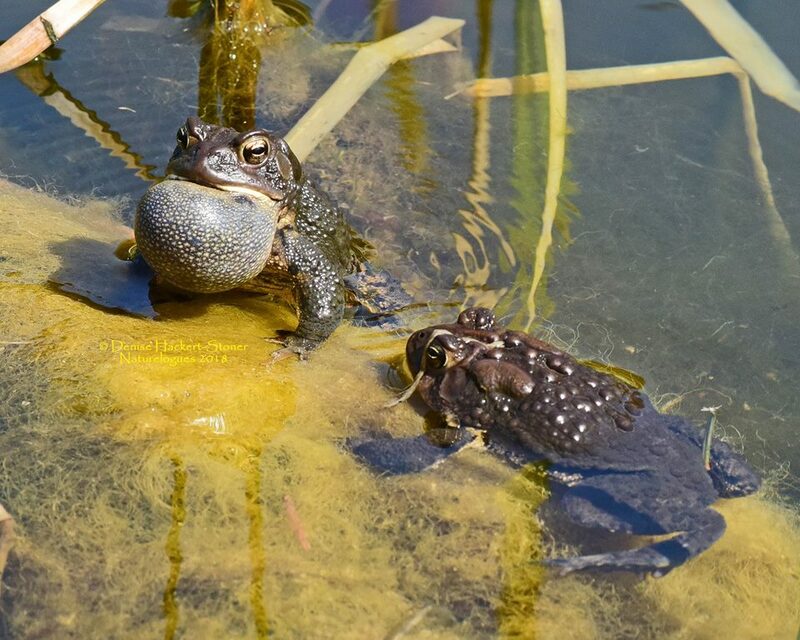 These lumpy, bumpy amphibians have the sweetest voices of all. They have a long, sustained call, somewhere between a hum and a whistle. They harmonize in complicated choruses, long notes rising and falling in harmony. Then the wood frogs chime in, sounding like a group of irate ducks, wackety,wack wack wackety. Green frogs have a simple song, plunk, plunk, like a single banjo string sounding. By June the bullfrogs will be shouting Jug-o-rum! Jug o rum! 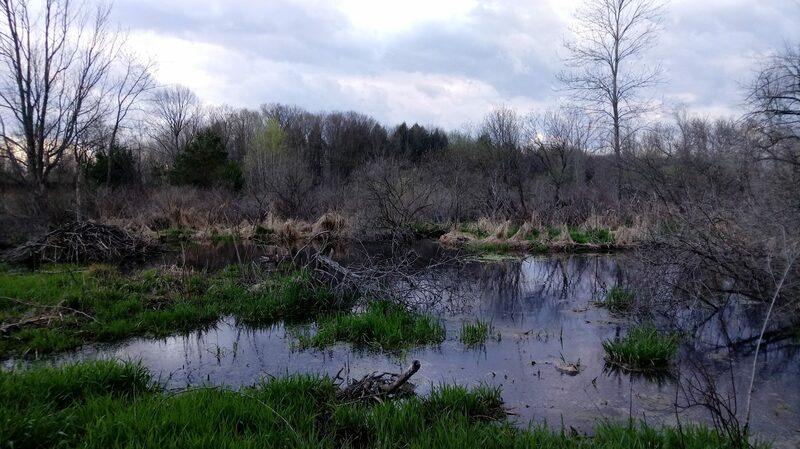 Check out the concert at the Mosher Marsh, a Mohawk Hudson Land Conservancy Preserve. Thanks to Denise Hackert-Stoner for the great toad portrait! 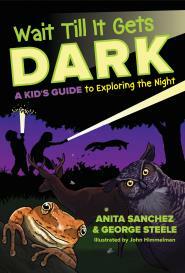 Wait Till It Gets Dark: A Kid’s Guide to Exploring the Night. by Anita Sanchez and George Steele, illustrations by John Himmelman.